Why Should I Relocate to Weybridge? | Curchod & Co.
Why should I relocate to Weybridge? 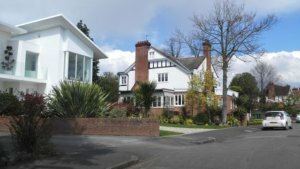 With property prices being well above the national average in the recessional period that followed the financial crisis in 2008, Weybridge town continues to provide plenty of opportunities for individuals who are either seeking to launch their first enterprise or perhaps expand their existing business thanks to the ongoing economical stability. Located just 7 miles from Woking and 16 miles from central London, Weybridge is an ideal place to set up base, should you also wish to travel further afield for maximum exposure. Moreover, if you do decide to relocate to Weybridge then you will be in good company with the likes of several blue-chip companies such as Procter & Gamble, Sony Corporation along with several other successful headquarters. If you’re looking for offices, industrial, retail, property investment opportunities or property development in the Weybridge area then we can help you to make an informed decision, based on your personal requirements and will tailor our service to you.